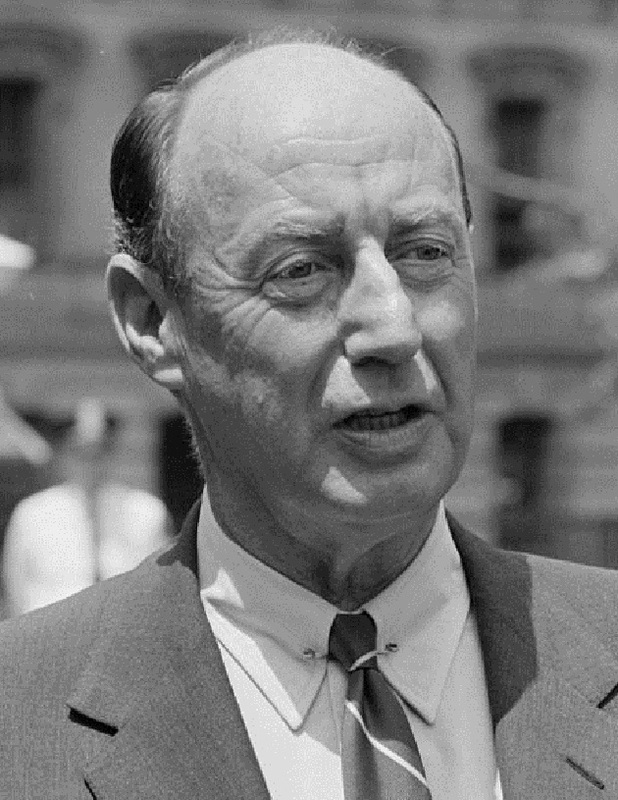 Adlai Stevenson II died on a heart attack while walking along a London Street on July 14, 1965. He was a one-term Illinois governor and a two-time Democrat presidential nominee. At the time of his death he was U.S. ambassador to the United Nations. I was getting ready to start college that summer. I knew a bit about Stevenson and had a favorable opinion of him. Besides, he was a Chicagoan who’d been an actual presidential nominee. We’d probably never get another person that close to the White House for a hundred years. So the day after Stevenson’s death, I sent a letter to the Sun-Times, suggesting that the new Southwest Expressway be renamed the Stevenson Expressway. I recounted some of the high points of his career. I also said that the Southwest Expressway would be an appropriate memorial, since it ran toward the ancestral home of the Stevensons in Bloomington. A week went by. I’d just about decided the Sun-Times had thrown away my letter, when—they printed it! The paper had edited away about two-thirds of my copy. 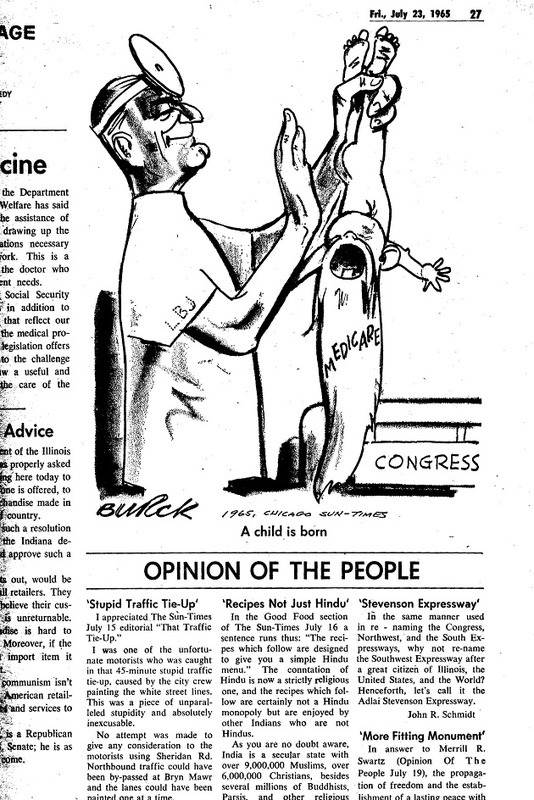 But there was my letter, on page 27 of the July 23rd Sun-Times, right under the editorial cartoon about President Johnson’s proposed Medicare law. On September 1st the Chicago City Council voted unanimously to change the Southwest Expressway to the Stevenson Expressway. I’m sure that I wasn’t the only one who came up with the Stevenson Expressway idea. Still, it was a heady experience for 17-year-old to think that the movers-and-shakers might actually be partaking of his wisdom. A few years later, Dr. Martin Luther King Jr. was killed. I again sent a letter to the Sun-Times suggesting a street name be changed. I proposed that 47th Street be renamed King Avenue. After all, 47th was a main street in a Black section of the city, and it ran west into a White section, and wasn’t bringing the races together what Dr. King was all about? This time, the Sun-Times did not print my letter, or even part of it. South Park Avenue was the street chosen by the city council to become King Drive. I retired from the street-naming business for forty years. Then, when Barack Obama was elected president, I wrote to Chicago magazine with my proposal for the street that would eventually be renamed in his honor. I mentioned Wabash Avenue, though lately I’ve been leaning toward Franklin Street. But that will have to wait until the President’s term is over. In the meantime, has anyone noticed that the I-57 expressway doesn’t have a name?